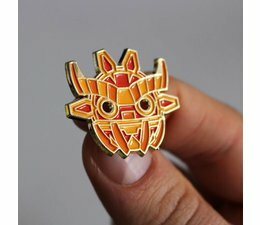 The Ancient Boo Mask pin by Angry Hedgehog is limited to 50 pieces (Blue + White) 100 pieces (Green + Orange) 150 pieces (Black) worldwide. 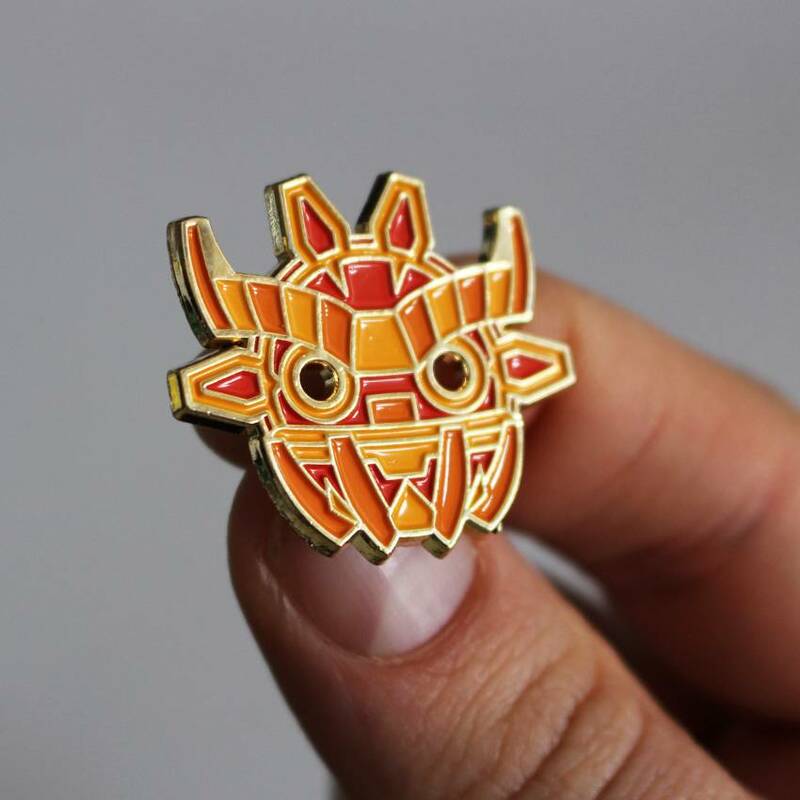 This is the Ancient Boo Mask Pin, Designed by Angry Hedgehog. Boos are ghosts, but they don't look very scary. To try and make itself more frightening, the Ancient Boo crafted a mask out of stone and wears it to keep intruders away from its home! These pins are designed by British artist Angry Hedgehog, known for his Boo toys and super-articulated Warden figures. The Ancient Boo Mask pin is a Soft Enamel pin sized 1.25" x 1.10" (31 x 28 mm) and comes with a black rubber backer, designed by Angry Hedgehog & produced by Creamlab.